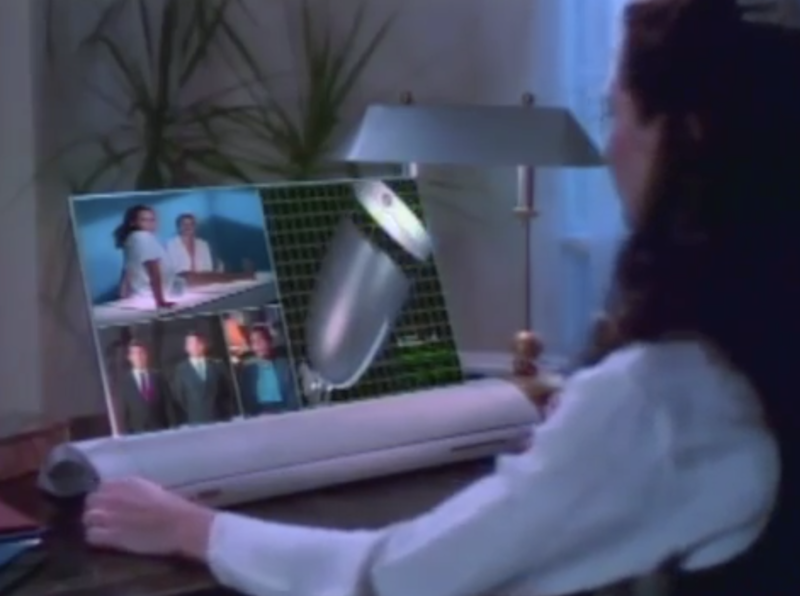 AT&T’s got a record of anticipating future trends and technologies that extends almost as far back as they do. They kind of have to; that’s their business. 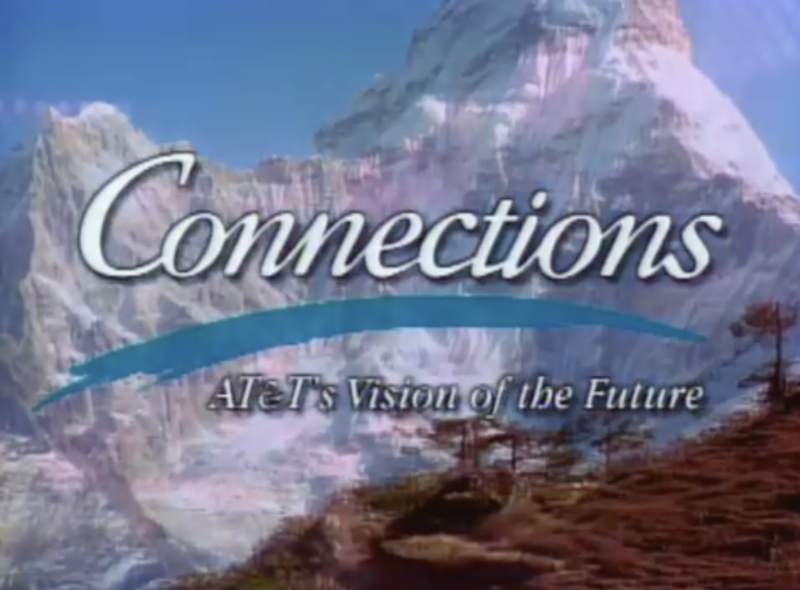 This 1993 video, Connections, takes the emerging technologies of the internet and mobile phones and imagines a future that combines the two. And, despite a few silly overreaches, pretty much nails it. 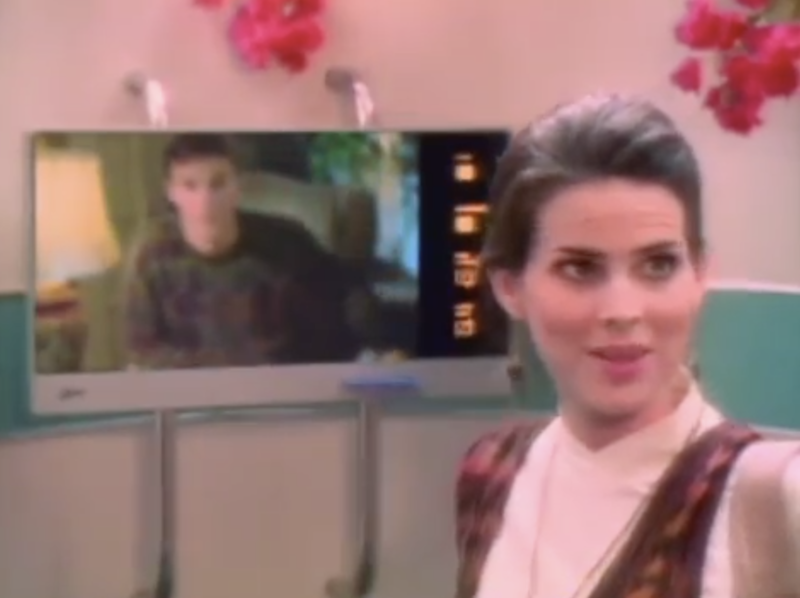 Connections starts off with a trans-continental phone call between a woman, her fiancee, and the owner of the rug store in which the couple met. 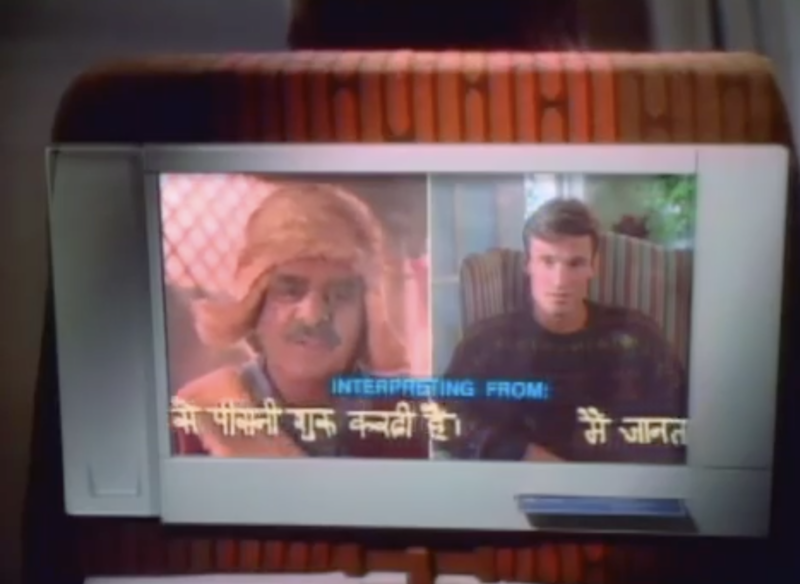 This call auto-translates the three languages to suit each participant – a translation in the actual voice of the speaker. The next scene features (what we will find out later is) the girl’s Dad, a land developer using a tablet PC to imagine changes to a building project and then receiving a voice call. Look familiar? 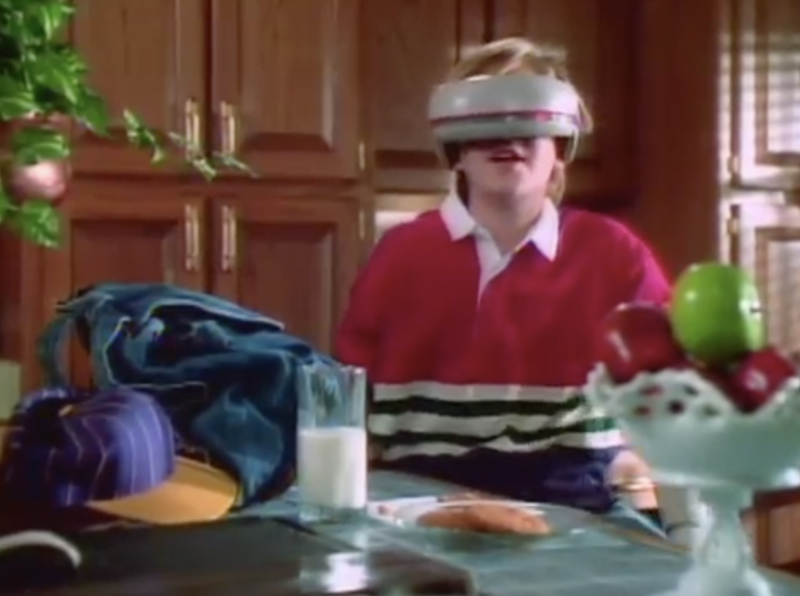 Cut to the family’s Son, playing a VR game online with his buddies, during which he receives a video message from mom reminding him not to turn off the VR system but instead to switch over to the homework module. Mom and Dad pick Daughter up at the airport, who rushes to a public phone booth to call her finance. Of course it’s a video call, with a voice-activated sign-in that can instantly access the caller’s contacts. Mom, a doctor, then engages in a remote consultation for a patient. She then shops for wedding dresses with Daughter, over the internet. The online store uses models of Daughter to explore different customization options. There are two plotlines threaded through this showcase: the Daughter’s wedding plans and the Dad’s development plans. The development plans are controversial as they would mean the loss of a community center. 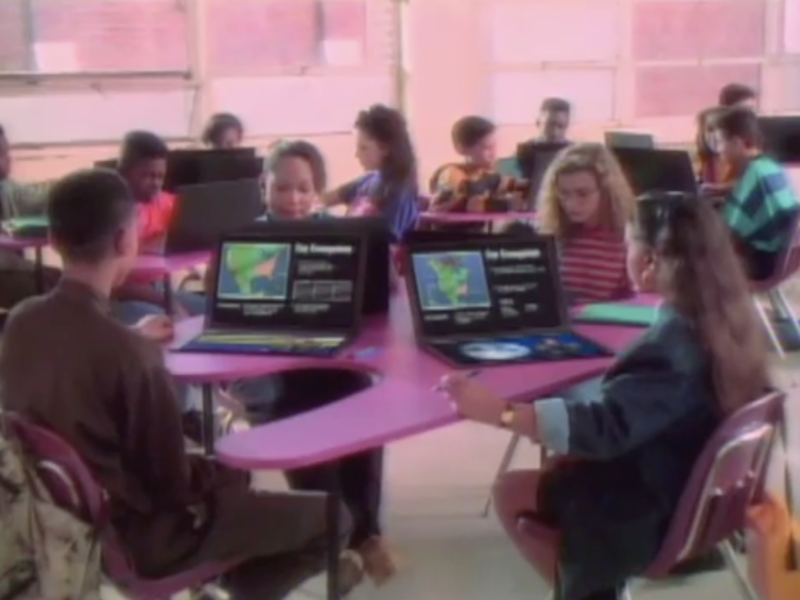 A concerned citizen appeals to Dad, showing him the appeals of the electronic classroom – a classroom filled with terminals that “connect to the Education Center in Washington” and provide virtual lessons customized to each student. Speaking of, there’s a Siri/Alexa component that is apparently customizable. There’s a bit where Dad questions Mom’s use of a handsome digital personal assistant. Gulp! 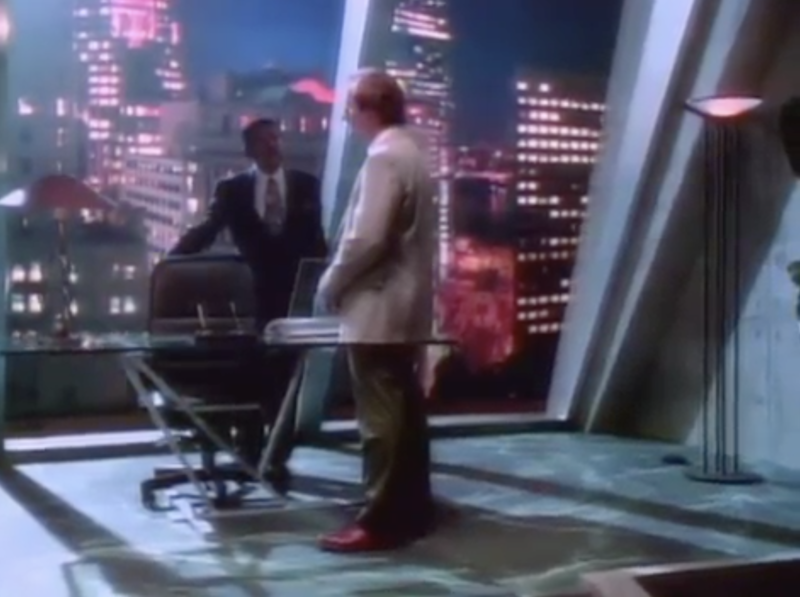 Anyway, the education classroom visit forces Dad to grow a conscience and he confronts his boss in a futuristic office that belongs in an episode of 1995’s The Outer Limits reboot, in an episode that takes place on Coruscant. No future tech in this scene, just some old guys arguing. The storylines wrap up predictably in a way that makes everybody happy. The boss finds a way to make the development they want to make and incorporate a Community Center as well. Daughter gets married and has a baby. The rug salesman is conferenced in to meet the baby. The end. It really is remarkable how right this video gets the application of the technology. It’s one thing to say that mobile communication and the internet will merge and define our lifestyles, but there are still dozens of ways that could happen. 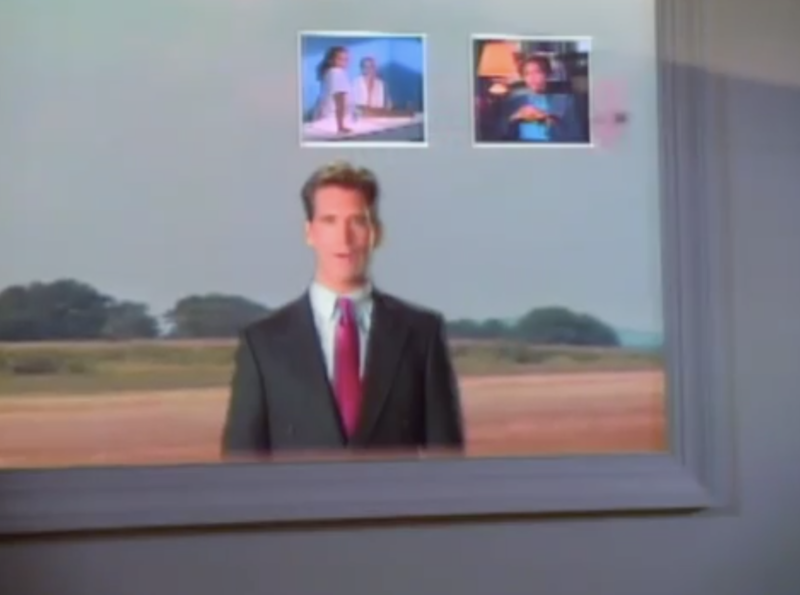 Just about everything in this video exists now, 20-plus years later. Except, I hope, that we’re a little less cheesy than these guys. I don’t know. Maybe we should be. There’s a lot of hope in this video. The Odyssey 2’s answer to Pac-Man was, well, Pac-Man. This ripoff of Pac-Man was actually available a year for home entertainment a year before any Pac-Man ports were, so in a sense it was actually the first to that specific market. It was Pac-Man, though, and you’d be hard pressed to find anyone arguing otherwise with a straight face. That said, there were some interesting additions to the Pac-Man formula. On some levels the map would become invisible, forcing you to remember the layout. On others the box where the ghosts respawn would change location. Little things that, while not admissible in court as grounds for a unique product, do impact the gameplay experience significantly. 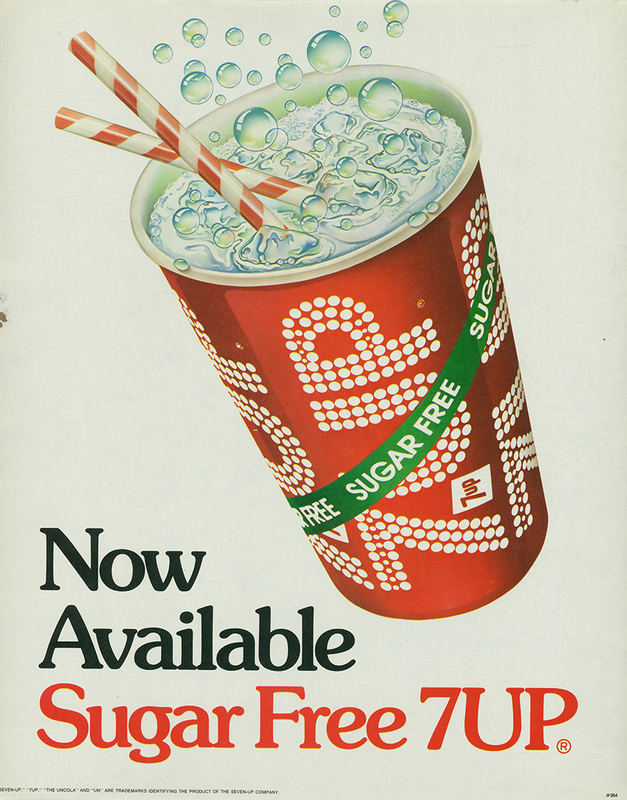 Still, total ripoff. 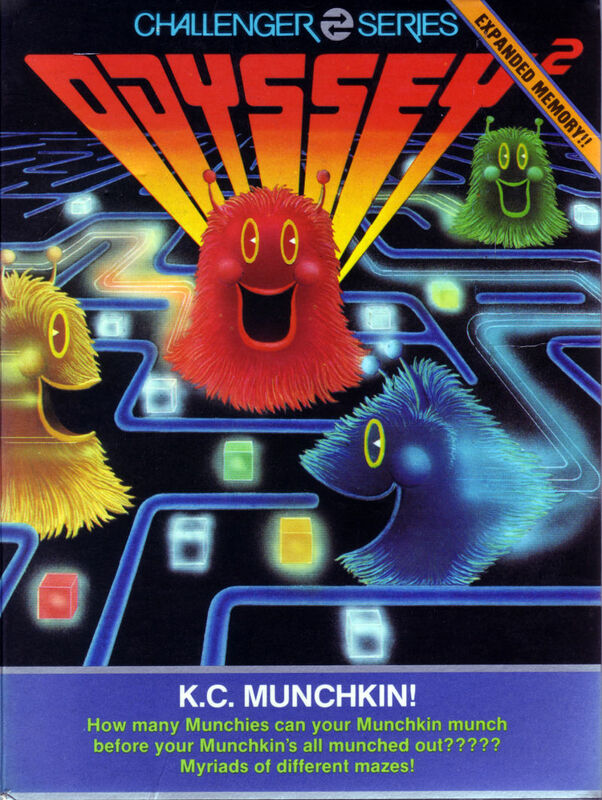 The marketing was pretty good, though, and the box art is as on point as most video game box art was at the time. This bizarre 1970s PSA dispels the myth that eating food makes it okay to drive drunk. I think it also serves a secondary function as a cautionary tale about drinking seventeen different types of alcohol and then getting in a car. 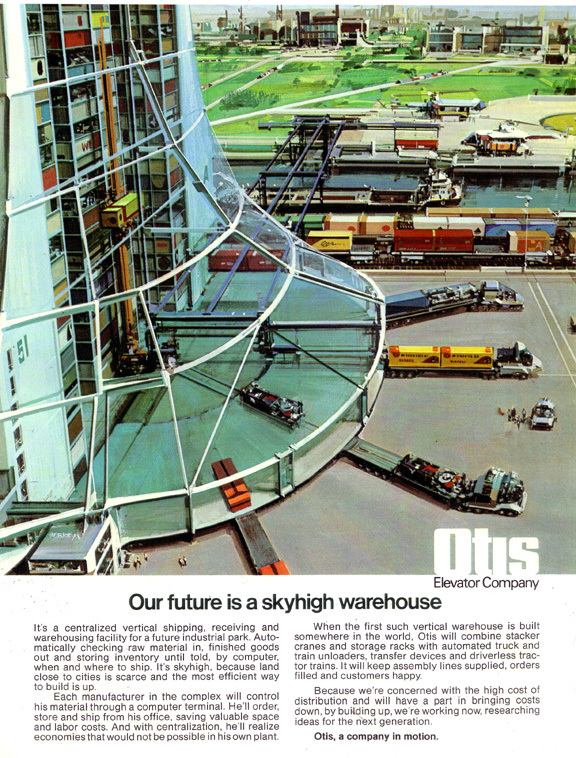 This ad for the Otis Elevator Company, illustrated by famed Sci-Fi and Space artist John Berkey, depicts an indoor vertical storage solution. Maybe that sounds a little dry, but this is the future for me. The illustration! The font! I love it!